For a private company, we sure know a lot about Uber. We know its meteoric rise to become the most valuable “unicorn” in the world. We know its well-publicized issues with corporate culture. We know Uber has a tremendous void in leadership at the moment, with no CEO, COO, CFO, or CMO. And we know the company lost $2.8 billion last year and added another $708 million of losses in the first quarter of this year. It is no secret that Uber is a troubled company. Of course, the story of this company is far from complete. It still is sitting on piles of cash, has a lot of talent, and retains many customers. But gone are the days when the word “Uber” conjured up overwhelmingly positive sentiment about the service and every other startup positioned itself as “the Uber of…” a different vertical. Gartner defines customer experience management as “the practice of designing and reacting to customer interactions to meet or exceed customer expectations and, thus, increase customer satisfaction, loyalty, and advocacy.” That’s our side of the equation as business and marketing leaders–how do we manage our organizations to craft strong, closer, resilient, mutually beneficial relationships with customers. Gartner further defines customer experience as “the customer’s perceptions and related feelings caused by the one-off and cumulative effect of interactions with a supplier’s employees, systems, channels or products.” That is the customer’s side of the equation–i.e., the important side. It is what our prospects and customers think, feel, and say about the brand as a result of their every interaction. With these definitions in mind, we can see how Uber rose from a scrappy, small startup to a mammoth company that swamped an established traditional industry in a matter of a few years. And we can also see how the company’s well-known PR issues are now rocking the company, causing people to delete the app, and putting Uber’s enormous valuation at risk. Especially advocacy. Uber’s now-former CEO, Travis Kalanick, once said that “Uber spends virtually zero dollars on marketing, spreading almost exclusively via word of mouth… 95% of all our riders have heard about Uber from other Uber riders… For every 7 rides we do, our users’ big mouths generate a new rider.” Imagine if for every seven things your brand sold, your customers turned a friend or family member into a new customer for your brand. What would that do to your growth? Your cost of acquisition? Your marketing ROI? That’s the power of CX. But now Uber is faltering, and this, too, can be seen through the lens of customer experience. Nothing has changed with the service Uber offers–it still has the same ride-hailing capabilities, the same built-in payment options (finally including driver tips), and the same prices. If nothing has changed with the product or service, how can the company be suffering such a considerable reversal in its fortunes? The lesson of Uber’s rise and fall (and, perhaps, rise again) is not about its marketing, advertising, or content. The level of customer service didn’t add to either Uber’s success or its problems. 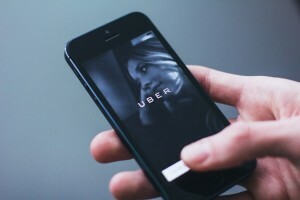 And while the frictionless experience offered by Uber’s app contributed to the brand’s rapid adoption, its level of customer effort has had nothing whatsoever to do with the brand’s loss of loyalty and advocacy. Customer experience is not just about your tactics or even your strategies but about what your brand stands for, how it operates, and the manner in which the company conducts itself. It isn’t just about what companies do or say but who they are. And while front-facing departments can do much to lift CX in tactical and reactive ways, those improvements can be easily undone and swamped by the policies, priorities, statements, actions, and decisions made by senior leaders. Bottom-up CX improves experiences and reduces negative and damaging interactions, but top-down CX is what builds strong, differentiated, healthy brands. Uber’s application revolutionized the world by making standing in the gutter, waving like a moron at strangers driving past, and hoping a taxi driver will stop for you a thing of the past. Its subsequent reputational issues demonstrate how old-fashioned leadership and culture are so vital to a brand’s customer experience. But it is what Uber does next to raise or injure customer satisfaction, loyalty, and advocacy that will define the company’s future.